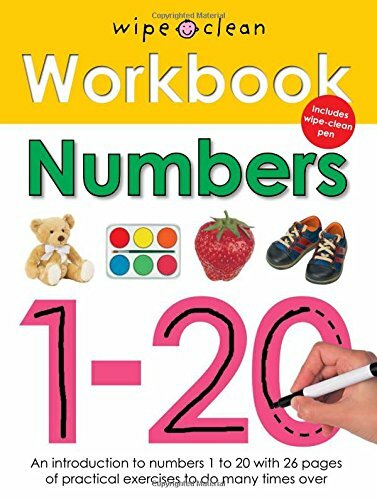 A spiral-bound Wipe Clean Learning Book from Roger Priddy, the Wipe Clean Workbook Numbers 1-20 introduces toddlers to learning how to count. Featuring twenty-six pages full of reading and identifying number exercises, plus writing activities, this interactive workbook will help children aged 3 and over practice their counting skills to prepare for school. In 2000, he created Priddy Books with John Sargent at St Martin's Press to create innovative and imaginative titles for children, from first books for babies through early reference titles for older children. 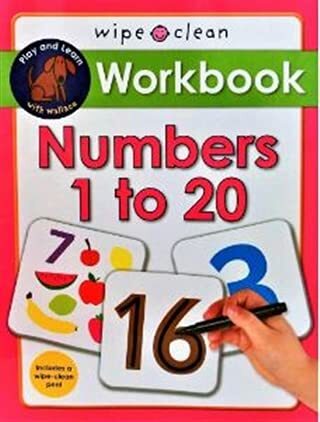 Since then, over 30 million copies of Roger's 200 plus books have sold worldwide, with five of his books―My Big Animal, My Big Truck, Happy Baby Words, Happy Baby Colors and Puppy and Friends―each selling over one million copies. He is also the author of Big Board First 100 Words; Big Board Books Colors, ABC, Numbers; and Bright Baby Noisy Monsters. His creativity has been recognized with numerous industry awards. Priddy lives in London with his wife Zena and their four children.